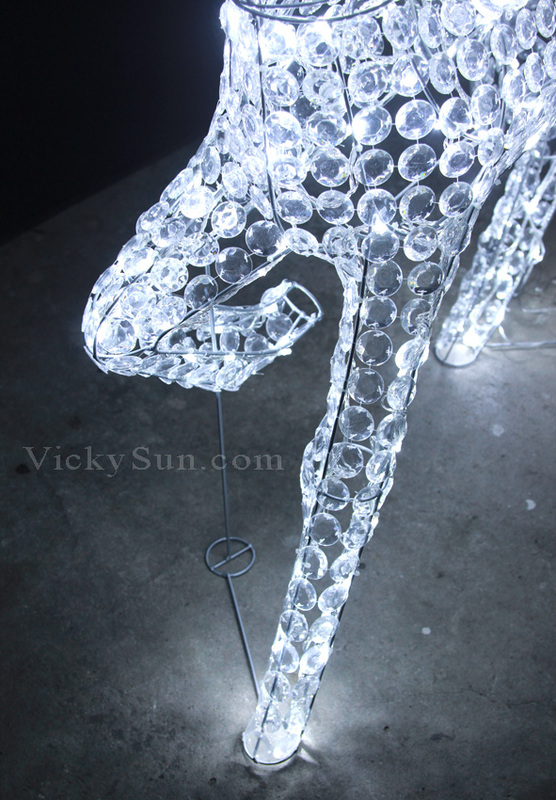 This white 3D LED white acrylic beads reindeer lights with steel frame construction have 260 LED white lights. It measures 127cm high. You can let the reindeer lights standing at your Christmas yard/lawn, doorways, off roof eaves, off balconies, across rooms, gazebos. It is perfect decoration for your lovely Christmas house and wedding avenue.